The Yatra SMART choice property comes with a promise of 8 assured amenities, money-back guarantee and priority helpline support. You also get free cancellation and standardized prices through the year.Located strategically on Mappillai Mudaliar Street, Spring Valley Residency is highly preferred by budget travellers. Embraced by woody mountains and green valleys, this place is ideal for those who want to spend holidays in calmness. Accommodations at Spring Valley Residency come in the form of apartments, which are designed thoughtfully with the intentions of providing of highest levels of comfort to guests. As per requirements, guests can make a choice of their accommodation from two choices, Royal Room and Royal Suite. There are en-suite bathrooms in all the rooms that are spacious and are provided with 24-hour running hot and cold water.There are large windows and en-suite balconies in the apartments that offer enchanting views of the mountainous surroundings at their majestic best. The hotel has a well-decorated dining area where guests can savour a variety of dishes. There are private gardens at the hotel, where guests can unwind and enjoy the cool mountain breeze. Reason For Rating : Bed covers and pillow covers also not cleen they change it without wash its veey agly. And staffs not support even they not pick a call. Reason For Rating : The hotel room provided was too far from the City center which made a lots of inconvenience for us. What's Good: As assured no wi-fi facility; frequent power cuts; food facility poor i/out of hotel. Should have a vehicle to go out for eating. Civil assets are good. Absence of intercom, increased my mobile bills. Communication problem with service people. No responsible person visited us for anything. Location good for scenic view. What's Good: The rooms are clean, the neighbourhood is good, the staff, Mr Lokesh is very helpful, The view is great from the rooms in the back, (101, 102, 201, 202). If you are travelling in your own car, this is the best place to stay, away from the traffic and the hustle-bustle. This place is about 2 KM from the Kodai Kanal Lake, Near the zion Matriculation School. Search for "Kodai Clouds n' Gardens". However, 2 problems. 1. Difficult to find if you are going for the first time. no phone number exists. I think they are associated with Hotel Spring Valley, but not sure how. Make sure you talk to them after booking, and collect the phone number of Mr. Lokesh, who is in charge of the Residency. 2. Food is a bit overpriced, but they are tasty. It is usually cooked in the kitchen downstairs. It is situated 2 KM away from the Kodaikanal lake and is located in a beautiful place which enables you to see the entire Kodai region from the hotel. Rooms are clean, Hot water is available 24 hours. However, we had to ask for towels and soap which were not available in the rooms. The rooms are most affordable if you travel as a group or family. The room boys are courteous and helpful. They have an in-house kitchen and provide south Indian food. Food is okay, however, they are served hot. A good place to stay on a short trip. "It was a Nice Stay"
its a good hotel and staff also was very cooperative.Located 2 Km away from the city and in good location and surrounded by all the major attractions and sight seeing places.Its a very calm place,located away from the rush of the city. This September (27th to 30th), I stayed at Spring Valley Residency, Kodaikanal with my family. It was really an enjoyable moment. Check-in & Check-out: Check-in was very smooth and quick - it took only 5 minutes. Check-out was also quick. Location: Finding the location was not difficult. Google Maps comes handy. Spring Valley Residency is located in a residential area which was quiet and calm. Except Chettiar Park & Kurinji Andavar Temple (which are less than 2 KMs) most of the sightseeing places are at a distance of minimum of 4 KMs. If you are on a private vehicle, the distance shouldnt matter. Room: I stayed in the Premier Suite, a 2-bedroom apartment - really a premium one. Room was ready when checked-in. Room was well maintained. Two rooms were available with separate bed & bathroom in each room. Kitchen is also provided but without any utensils - may be they can provide them if we demand - not sure about that. Basic amenities like soap & towel were provided (but provided only on the first day, though I stayed there for 3 days - may be we should ask for replacement). Room was also not cleaned on the subsequent days (may be we should ask them to do). Room tariff seems nominal, though I availed a very good offer from MMT. Extra bed was also provided at a nominal rate of Rs.300 per day. Service: Room service was good - Mr. Moorthys service was appreciable. When asked for the room heater, he provided one (at Rs. 400/- for 24 hours), though they dont have that facility with them, which is really appreciable because that helped my aged father. Hot water was available 24 hours, which many hotels provide for a limited time only - they have solar heater as well as geyser. They provided hot water (drinking), of course in a flask, without any hesitation. On the check-out day, EB power was shut down at 0700 am (did not resume till we checked-out at 0930 am) because of which geyser could not be switched ON and since no hot water available, we left the place without having a bath. Management should provide gensets to manage such situations. Food: Though, they have their in-house restaurant, they provide food only in the room. Rates were nominal considering the importance of Kodaikanal as a tourist spot. Food delivery was little bit slow (may be due to more number of guests). It would be fine if they could deliver the food in time. Food quality was good. But, I feel that the quality could be improved little bit and the number of dishes could also be increased - they have limited options, particularly for breakfast. It would be fine rather a must, if they provide Tea in a flask at a hill station like Kodai (actually, they provided Tea in cups, which got cold while delivering). So, I avoided ordering Tea with them. 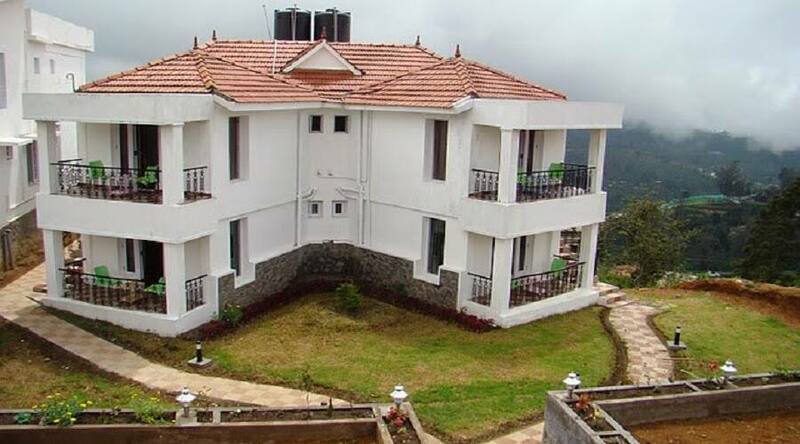 Overall, the Spring Valley Residency at Kodai, is a good choice for stay, particularly for families. Beware of this Hotel !!! The only good thing about the place I can say is the location. The person who was servicing collected Rs 100/- for 5 sachet of Re 1 chik shampoo & 5 Bananas. On asking he said that its rs 75 and he does not have the change to return. The food they serve is brought from some other place and served there. They dont even feel like providing any bills for the charges they collect. Please try to avoid this place until you dont have any choice to stay. The two star is only for the view from the property. No proper parking facility. This is not a hotel, but almost just an apartment on rent !! We travelled here sometime in May 2017 (last year), with family (spouse, 2 daughters) and both in-laws. We booked the highest category suite (2 bedrooms with separate living & dining area). This is not a regular hotel, but a set of apartments taken over 6 or 7 apartment blocks with the central kitchen and the dining right at the end (a good 200 m or more walk from our apartment. The breakfast was pathetic and the people who came after us did not even get this as it was over by then. The bedsheets were not clean and the toilets had BROKEN seats (yes actually broken seats) !!! There was just one caretaker and 1 cook (alongwith 2 boys to help) for the entire residency. Any request was always retorted to negatively and in a rude manner. This was one of the worst experiences we had that too at an exorbitant price of about Rs 8000 per apatment per night. Rooms on the back side are with good views.